Williamson, Inc. offers members exclusive access to both online and printed marketing channels. 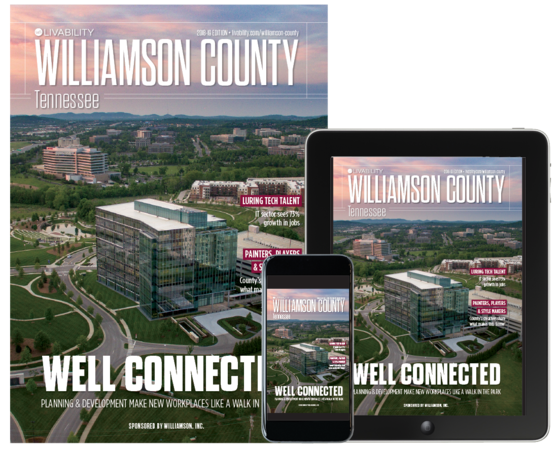 Put your business in front of more than 4,000 member representatives, 9,000 online subscribers and more by advertising directly on Williamson, Inc.’s website, on our social media accounts, or in our annual magazine, Livability: Williamson County. For more information about advertising with Williamson, Inc., contact Meg Hopkins at meg@williamsonchamber.com. We also have numerous Event Sponsorships available throughout the year! If you would like to sponsor one of our many different events, including luncheons, mixers and networking events, please contact Abby Bass at abby@williamsonchamber.com. Have the opportunity to share member news, events and updates on our Williamson, Inc. Website! Please send all press releases, flyers, events, information…etc. to Meg Hopkins at meg@williamsonchamber.com. Along with member news, you may also create ads to be highlighted on the Williamson, Inc. Website. Advertisers may elect to run ads for multiple weeks and are reserved on a first-come, first-served basis. Contact Mary Ann Stafford, Journal Communications, with any questions you may have at mstafford@livmedia.com. Your Williamson, Inc. membership allows you access to the Williamson, Inc.’s Social Media Channels to help promote member news, events and updates. Please send all information, content, artwork…etc. to Meg Hopkins at meg@williamsonchamber.com to get access to our Social Media Channels. 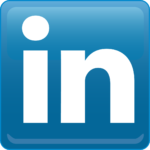 Be sure to follow us along on Facebook, Twitter, Instagram and LinkedIn! Livability: Williamson County, TN is an annual lifestyle magazine featuring the best of what Williamson County has to offer, with information on shopping and retail, businesses, real estate, restaurants, education, arts and culture, music, sports and recreation, and family fun. The publication is a great way to promote your business to newcomers, relocation prospects, residents and other businesses in our community. Livability: Williamson County, TN highlights the best about our community in print and on Livability.com, which draws millions of visitors looking for great places to live, visit and invest. For more than 30 years, we’ve partnered with Journal Communications to develop our marketing tools that we use to promote our area in print and digital/tablet/mobile: WilliamsonChamber.com and Livability.com/williamson-county. 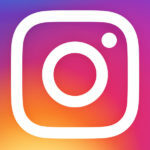 Whether you want to enhance your website with fresh content about our great community or promote your business on multiple media platforms, being a part of this annual program is a great way to promote your business to newcomers, relocation prospects, residents and other businesses in our community. Contact Mary Ann Stafford at mstafford@livmedia.com or 615-218-8271 for more information on availability and rates.